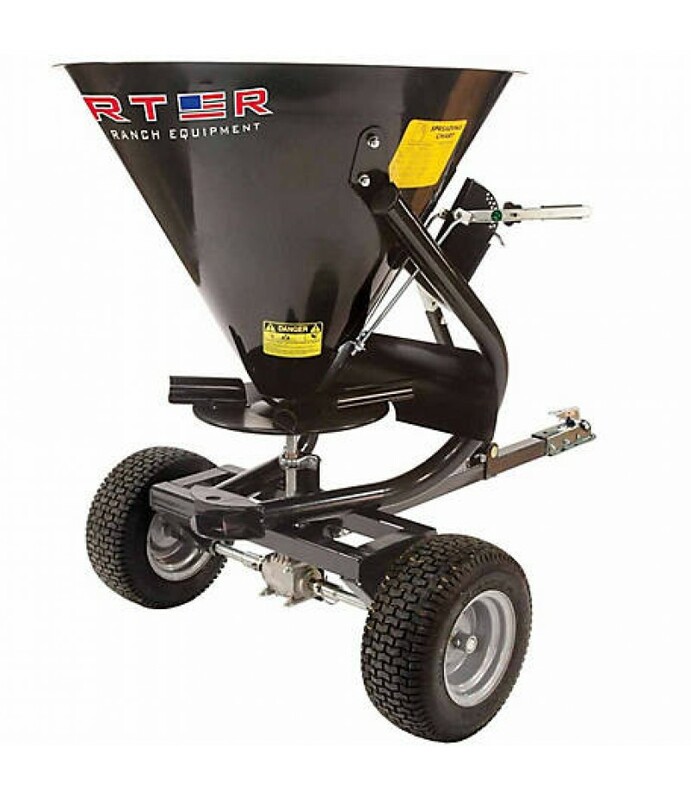 Use the Tarter Farm and Ranch Equipment ATV 5-Bushel Pull-Behind Spreader/Trail Feeder with an ATV or garden tractor for fertilizing or seeding.All-steel gear drive complete with grease fitting5 bushel capacityApprox. 300 lb. capa..
Use the Tarter Farm and Ranch Equipment ATV 5-Bushel Pull-Behind Spreader/Trail Feeder with an ATV or garden tractor for fertilizing or seeding. Approx. 300 lb. capacity covering approx. 65,000 sq. ft.